The second step is where you create the push notification the user will receive. Note that at this point, your new campaign has already been saved as a draft. You begin by selecting add message. First select the default language of the push and here is where we input the push text that the user sees. The title is typically short, either reflecting the app name, app section or a short phrase. The body is where you should input the main push text, including information for the user and possibly a call to action. Both title and body support emojis. To add emojis, you can use the emoji picker for either field or use a colon “:” to initiate emoji search and select functionality. The default tap action will open the app. If you implemented deep linking per the Flurry instructions during the SDK integration, you can cut and paste a deep link here and tapping the notification will do that. You can also send down key value pairs in these fields here. 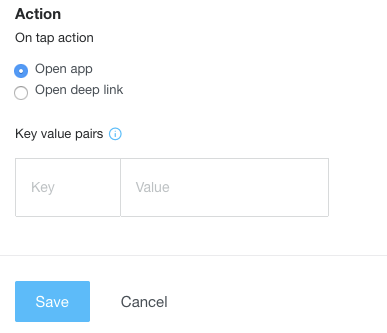 Key value pairs can be any parameters that your app has been set up to handle within the Flurry Push payload. When your save otice the in-browser preview showing an approximation of how the push may appear on the user’s device. In Flurry Push, you may add one or more secondary languages. 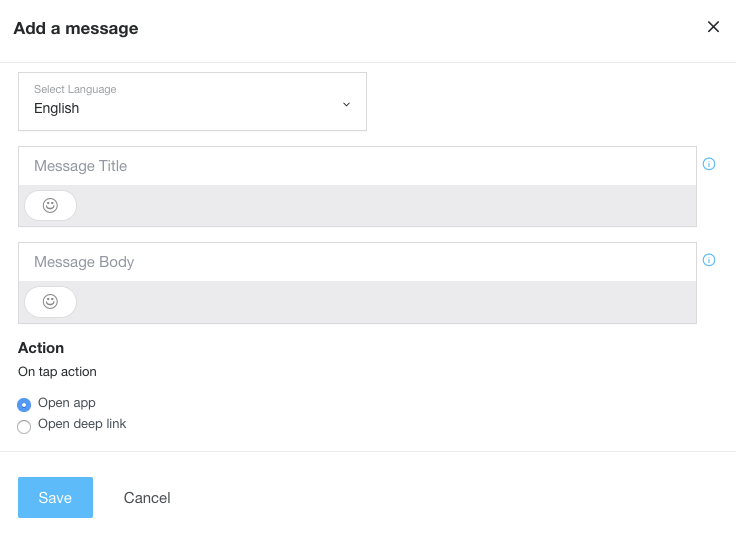 The default language message is sent to everyone in your Targeting set, even those users whose device locale may not match the default language. 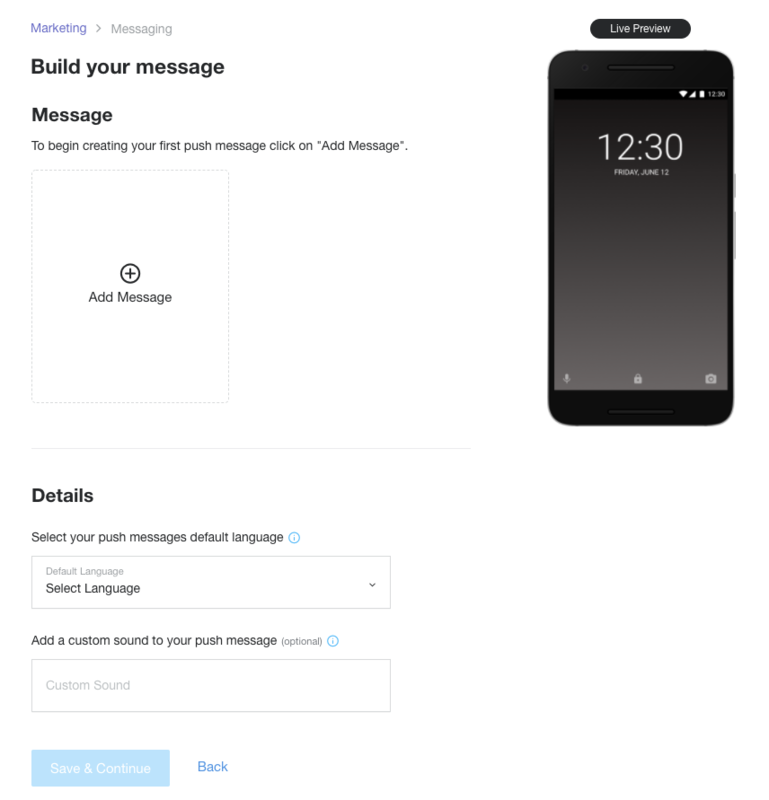 Messages for any secondary languages will be sent to devices with locales that match those secondary languages. Once saved, you can preview each language by clicking the preview icon, which will update the Live Preview. To Swap the default language, use the “Select language” dropdown. If you’ve bundled a custom sound with your app, you can specify the file name of the sound in the field provided. Your push notification will use the default sound if you leave this field empty.